London Luton Airport (LLA) and Copenhagen Optimization (CopOpt) have come together to improve the planning of security checkpoints through airports. 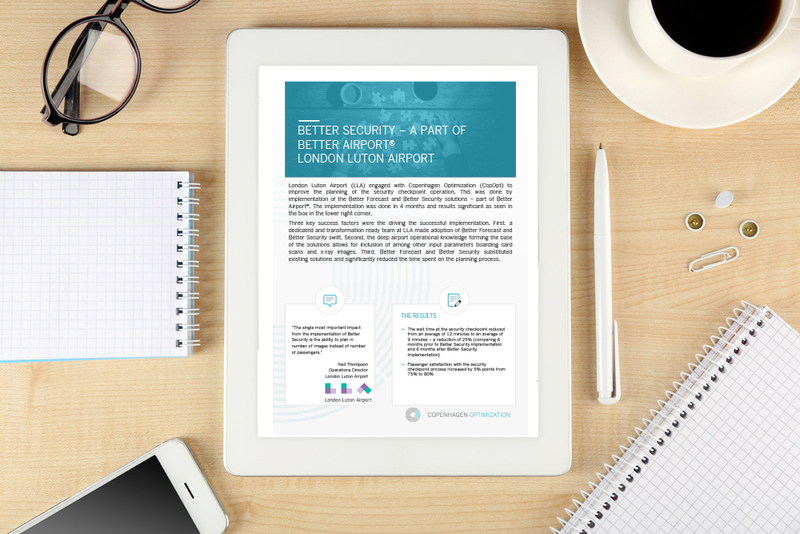 With the technology from the ‘Better Forecast’ and ‘Better Security’ solutions, a part of Better Airport®, the implementation was completed in just four months. The successful results ended in three key success factors driving the successful implementation of the products.